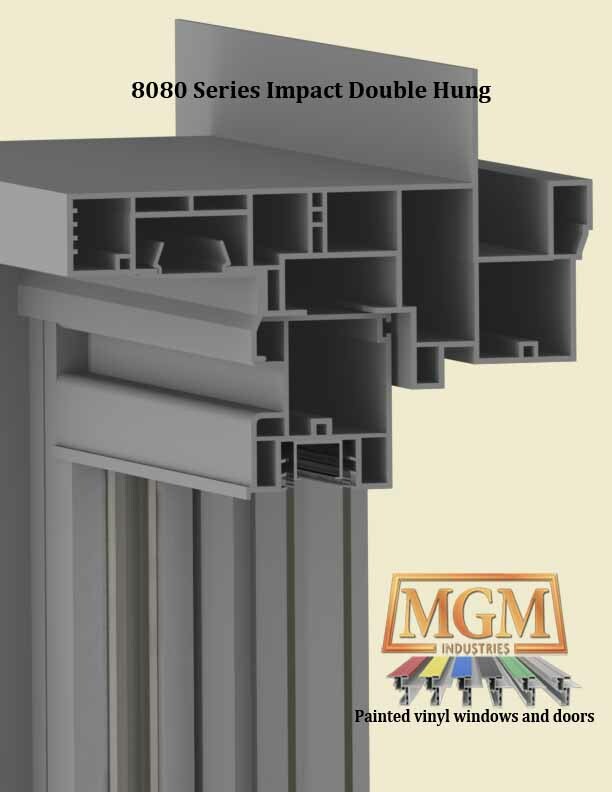 Because MGM's product line is so extensive, we have broken out the high design pressure (DP) product and hurricane product (impact product) into it's own catalog, we call it the WindStrong series. Products like the 5680 and 8080 were designed from scratch to achieve high impacts and high design pressures. These design considerations make the non-reinforced product better than the competition. 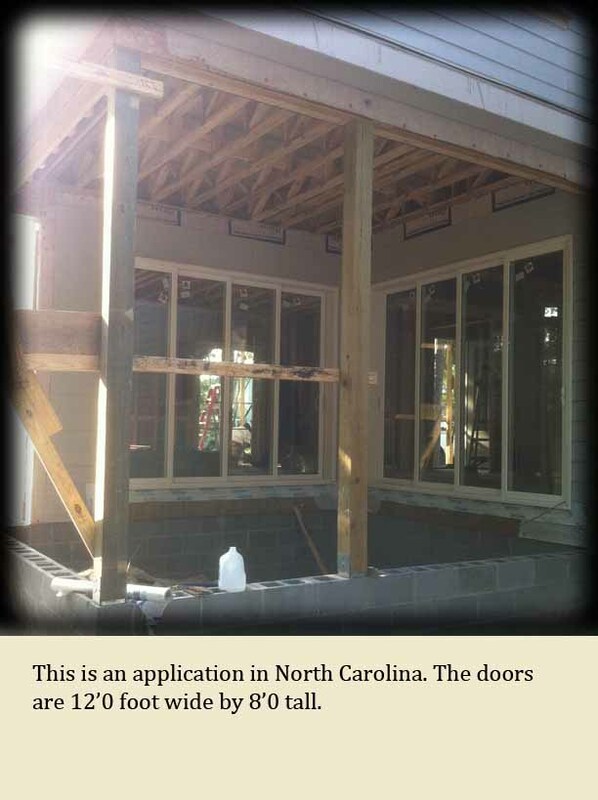 WindStrong product can be used for either new construction or used in rehab/remodeling applications. 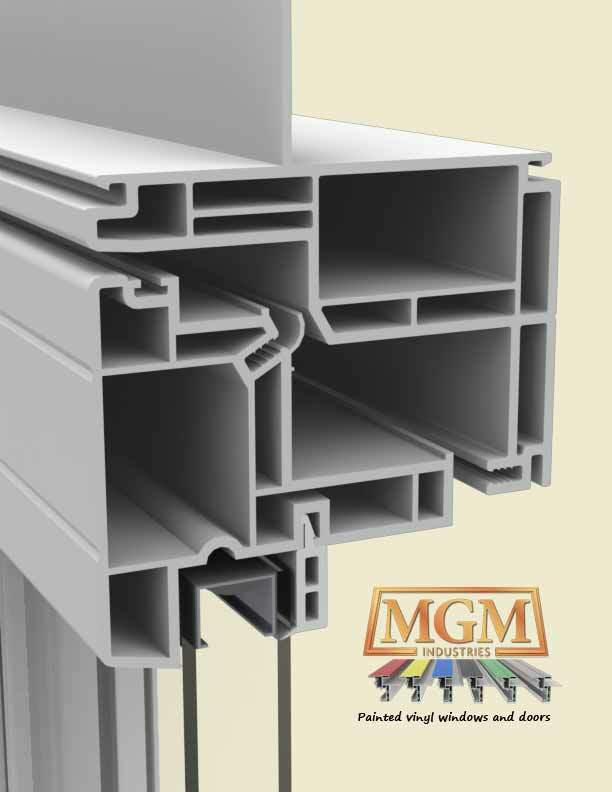 MGM manufactures, the right product can be found to meet most any budget, meet any building codes and meet the highest efficiency requirments that your project requires. 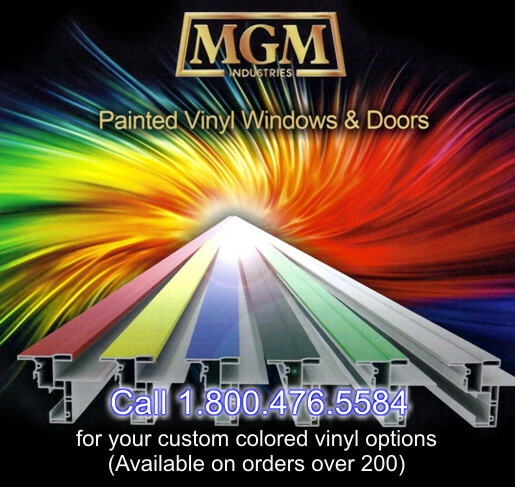 For larger orders (Over 200) we also offer color matching and custom colors on painted vinyl such as, Black and Bronze to name a few. Based on the 6010 Series platform. 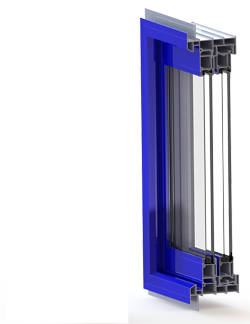 This window is suitable for Non-impact coastal applications that require a DP50 design pressure. This window is positioned to be competitive in all areas in which a DP50 product is mandated by code. 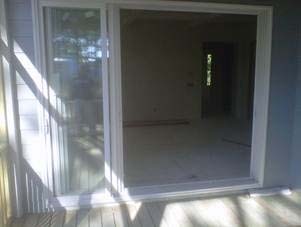 Suitable for multi-family projects as well as single family homes. 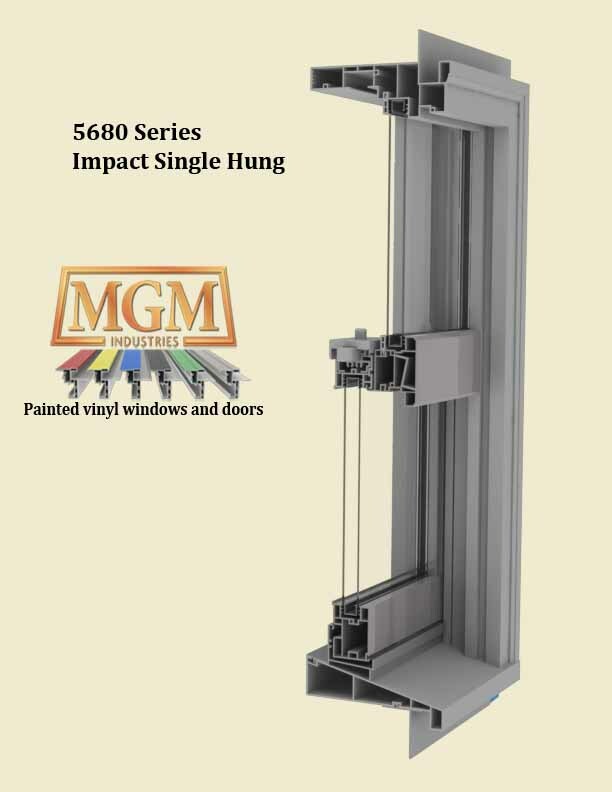 If your in the market for an high performance Single Hung window that has a 180 brickmould, 5 degree sloped sill, then the 6060 window is the window for you. This window has been tested to a design pressure of 50 (DP50). This means that the window can withstand a wind load of 171 MPH without the window breaking. A DP50 window also has to pass a water test with wind blowing onto the window at 54 MPH. The window will not leak with rain blowing against the window at 54 MPH. 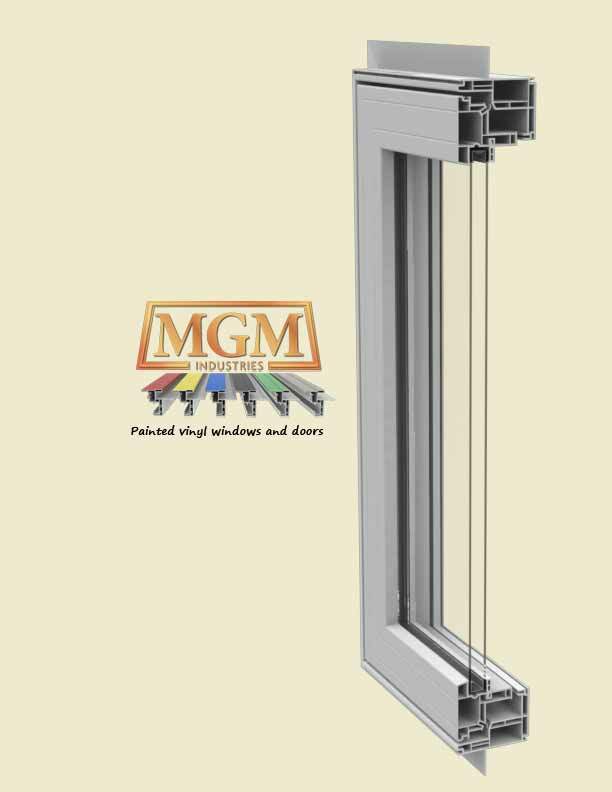 The window has a fully welded sash which is reinforced with aluminum. 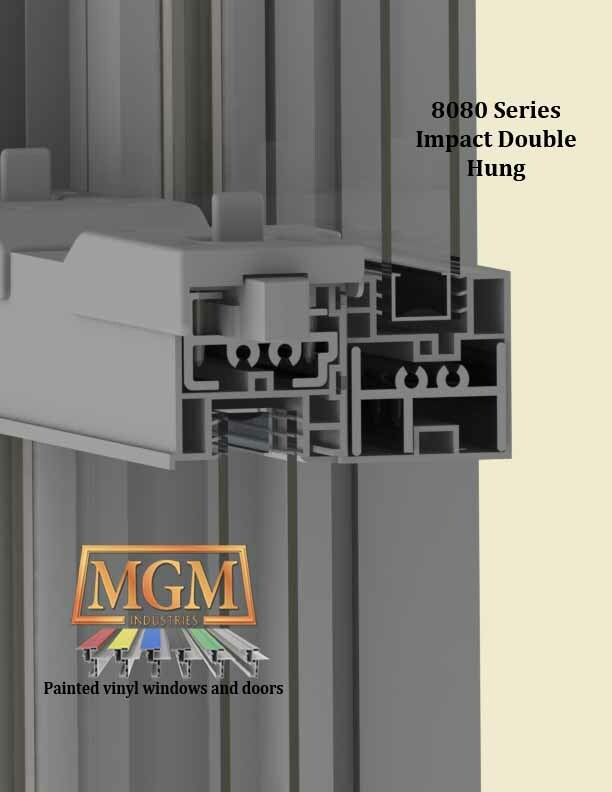 Our Series 6060 comes with a factory integral mull on multiple windows, which creates a continuous head and sill--which further eliminates leaks in the field. If your looking for an economical single hung that is DP50 rated and performs better than our window, then, by all means--buy it! 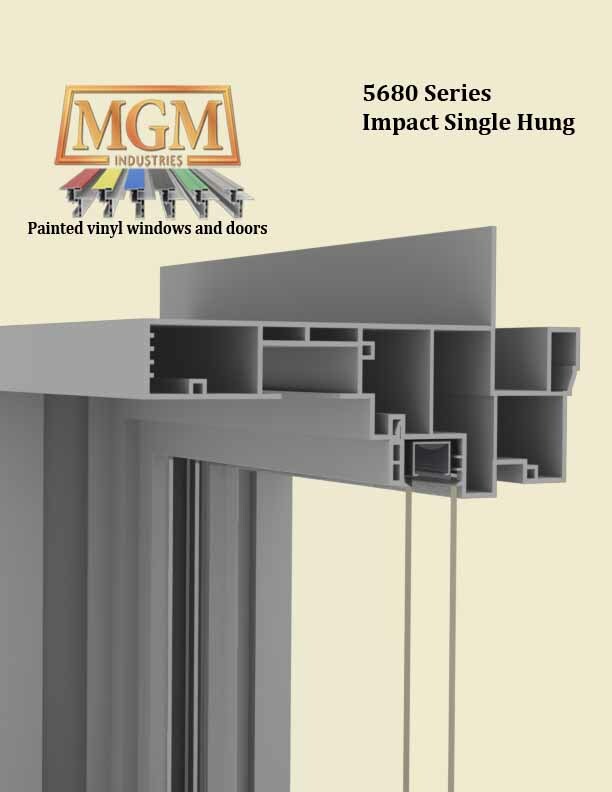 MGM has the only full-jamb single hung on the market. 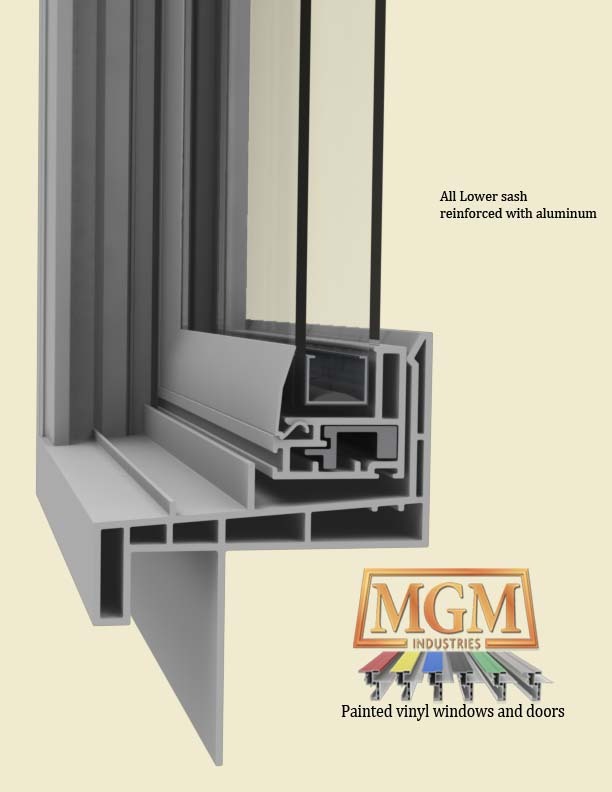 This is a premium window at a very attractive price. 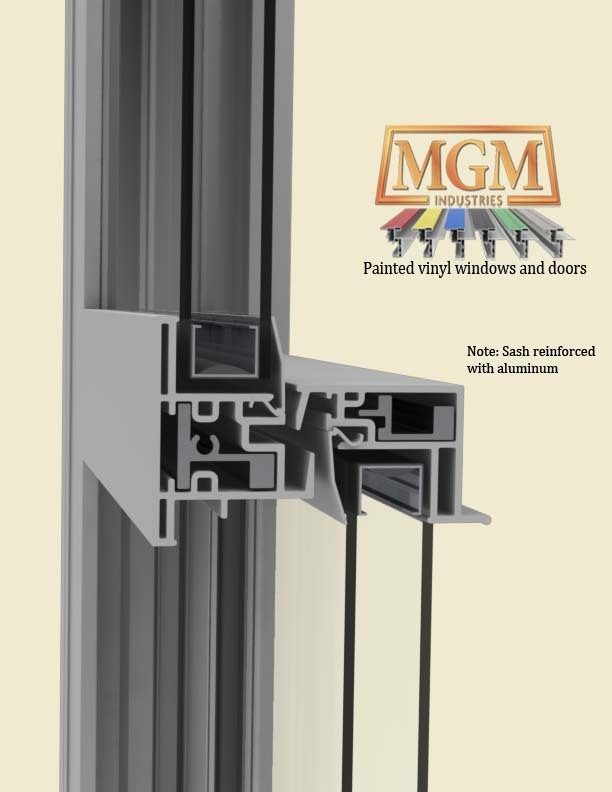 Available in our standard painted exterior finishes of. 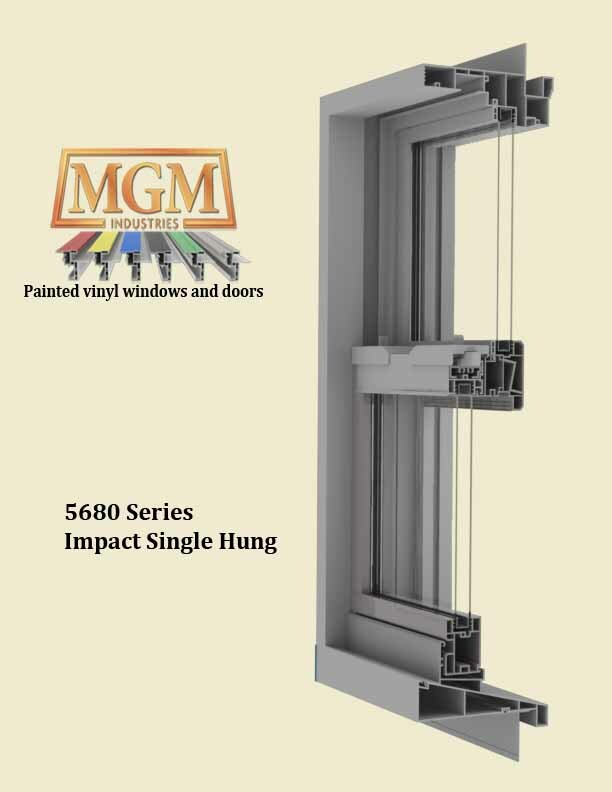 This window is based on the 5610 platform, but has a surface mounted latch assembly and a fully reinforced sash with aluminum, to handle the higher design pressure loads. 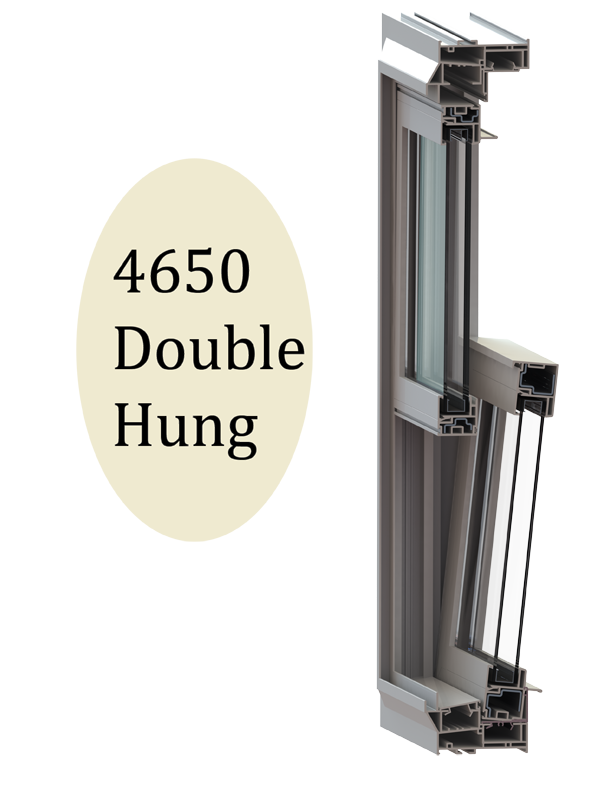 If your in the market for an high performance Single Hung window that looks like wood from the curb, has a true 180 brickmould, a 14 degree slope sill--like a traditional style wood window--then the 5665 window is the window for you. This window has been tested to a design pressure of 65 (DP65). This means that the window can withstand a wind load of 195 MPH without the window breaking. 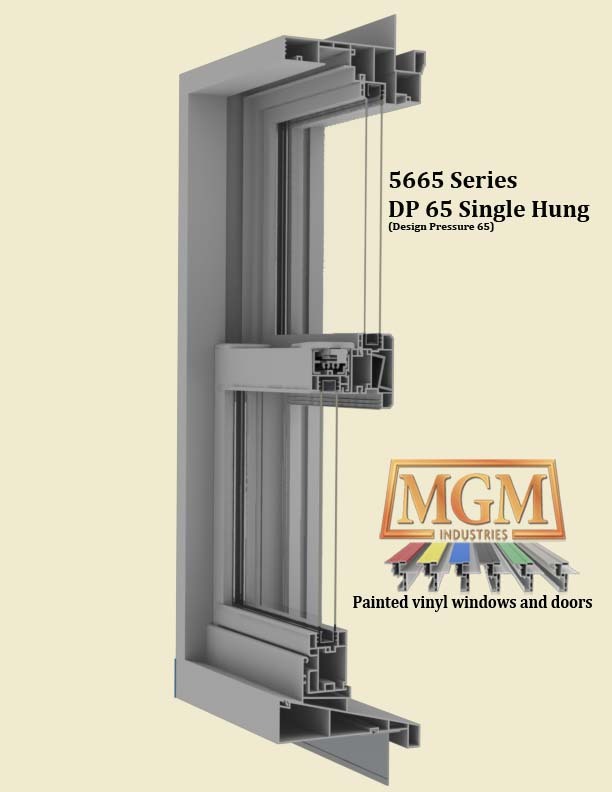 A DP65 window also has to pass a water test with wind blowing onto the window at 62 MPH. Our Series 5665 passes this stringent test, so in other words, the window will not leak with rain blowing against the window at 62 MPH. 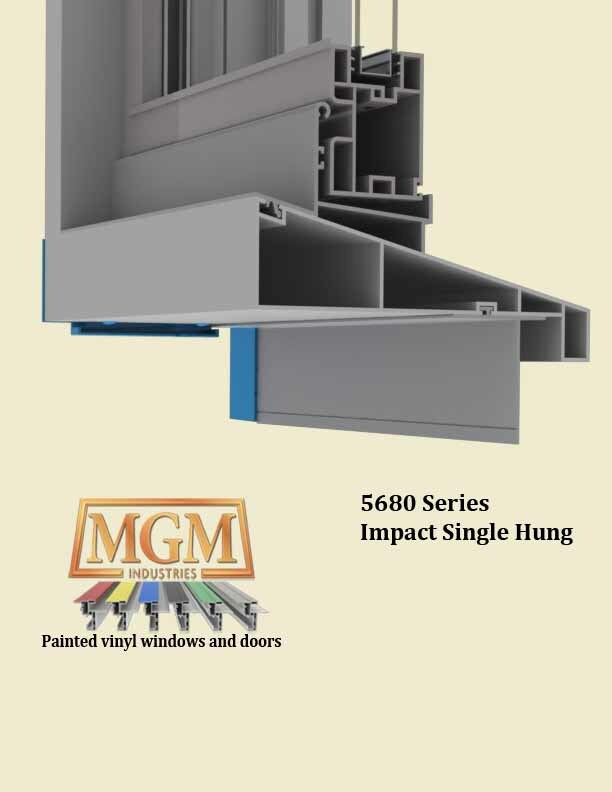 Our Series 5665 comes with a factory integral mull on multiple windows, which creates a continuous head and sill--which further eliminates leaks in the field. 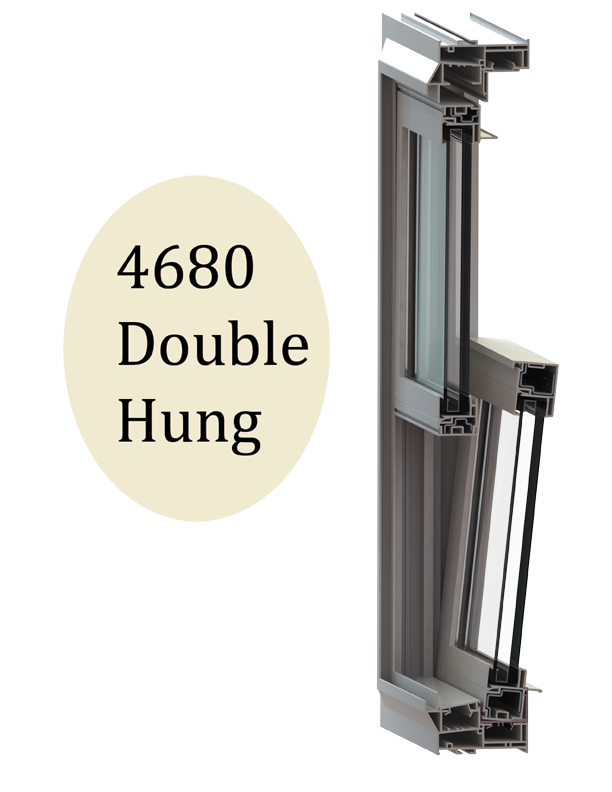 If you can find a 4 9/16 jamb vinyl window that looks aesthetically pleasing and performs better than our window, then, by all means--buy it! This window is based on the 5610 platform. This window is suitable for Large-missile impact coastal applications. 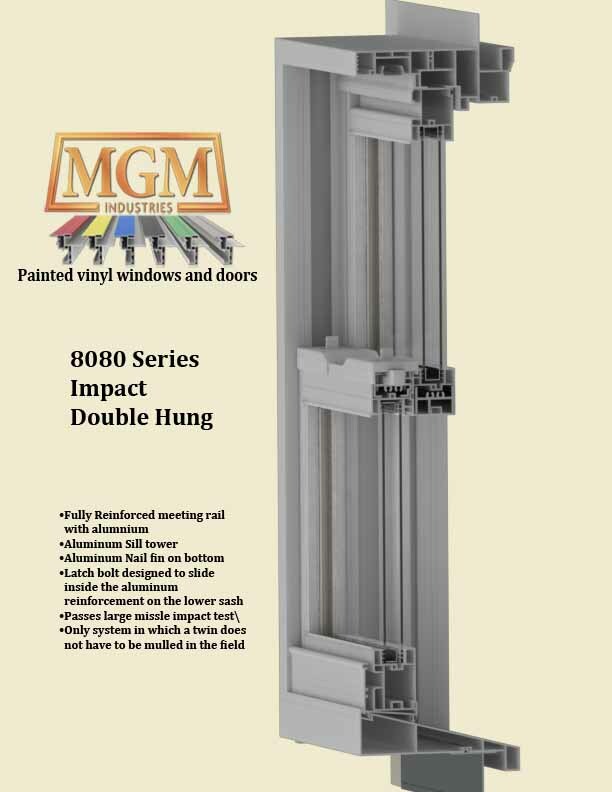 Has a very beefy latch assembly and fully reinforced sash with aluminum, to handle large missile impact loads. 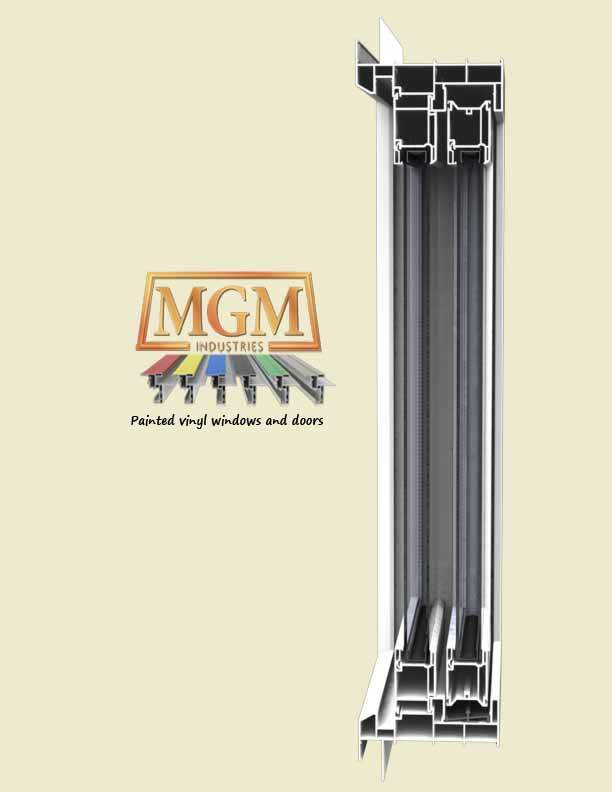 The window also has 0.090 inch interlayer laminated glass. One of the problems with most impact windows is that they are retrofitted with add-on hardware to pass large missile impact loads. Our window was designed from the get-go to handle these loads. 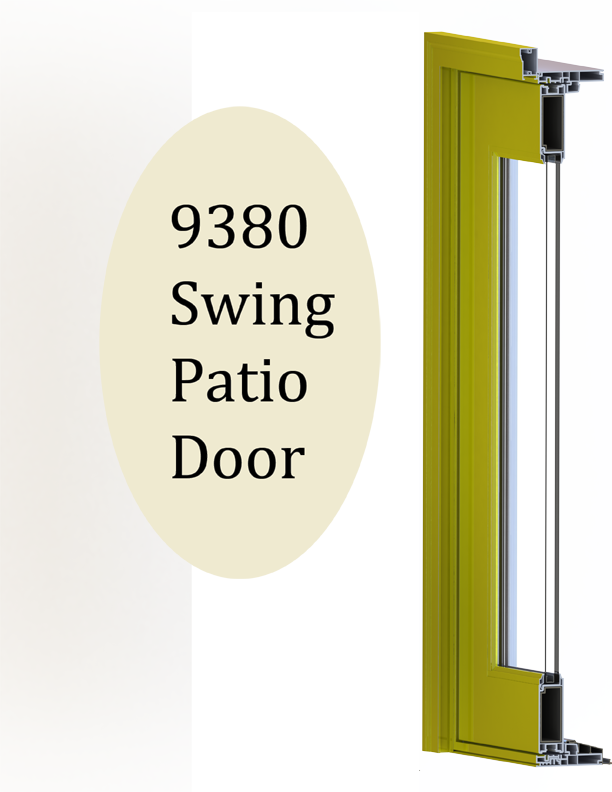 The video to the left describes our unique way that we tie the aluminum together inside the sash styles and rails, which is exclusive to our window design. Our higher end windows have a decidedly "wood look", dimensionally. 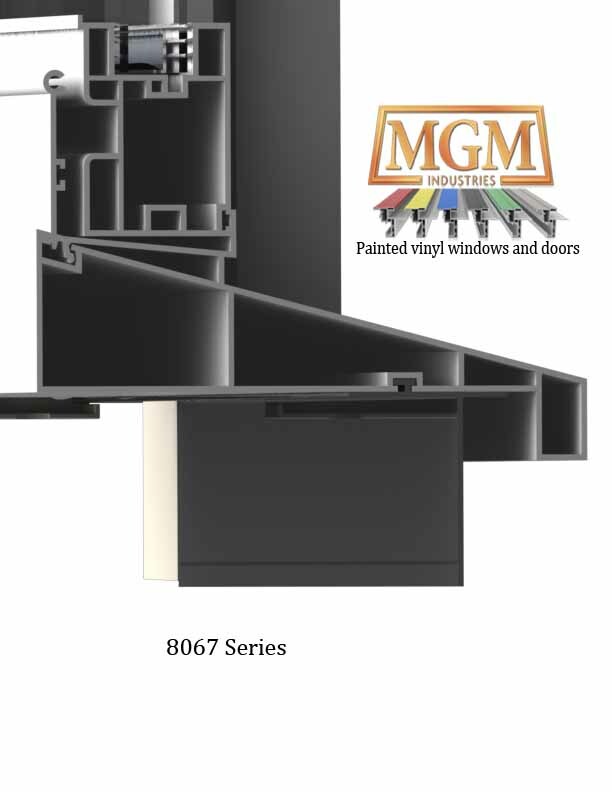 If your in the market for an high performance Single Hung window that looks like wood from the curb, has a true 180 brickmould, a 14 degree slope sill--like a traditional style wood window--then the 5680 window is the window for you. 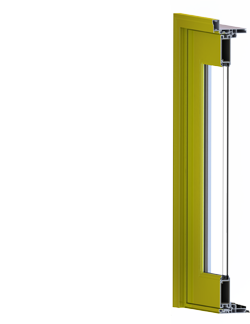 This window has been tested to a design pressure of 65 (DP65). This means that the window can withstand a wind load of 195 MPH without the window breaking. 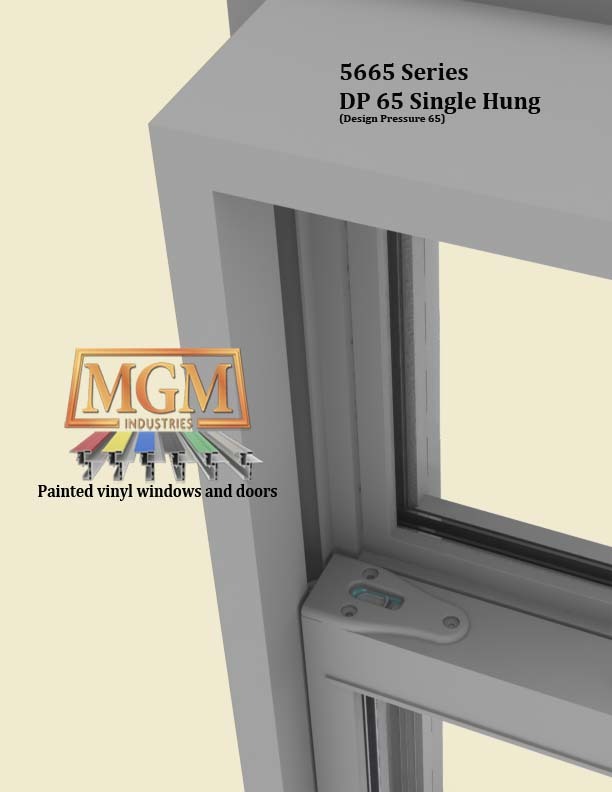 A DP65 window also has to pass a water test with wind blowing onto the window at 62 MPH. Our Series 5665 passes this stringent test, so in other words, the window will not leak with rain blowing against the window at 62 MPH. 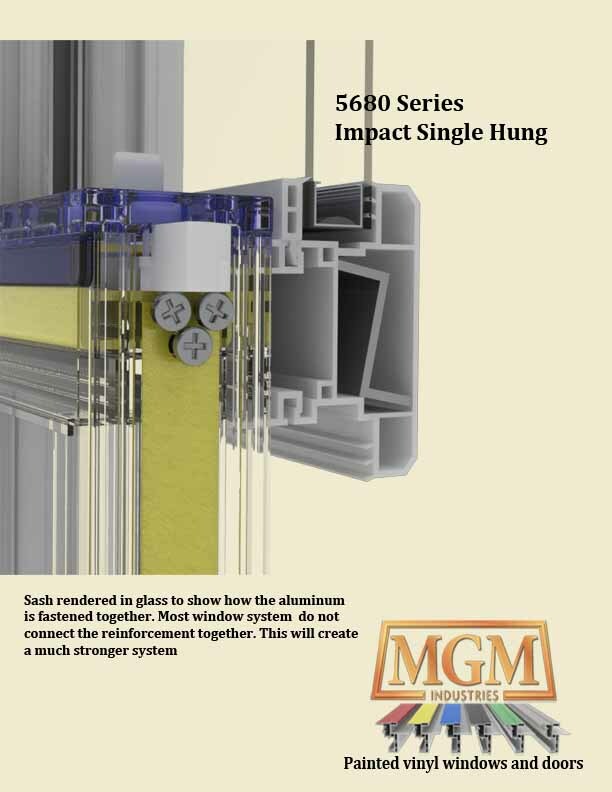 Our Series 5665 comes with a factory integral mull on multiple windows, which creates a continuous head and sill--which further eliminates leaks in the field. 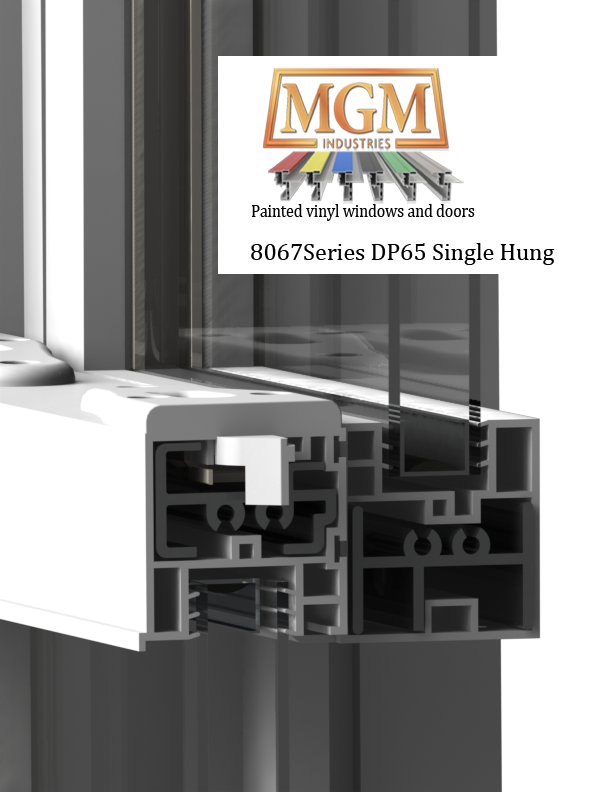 The video explains why MGM's Impact vinyl window product is better than anything in the industry. 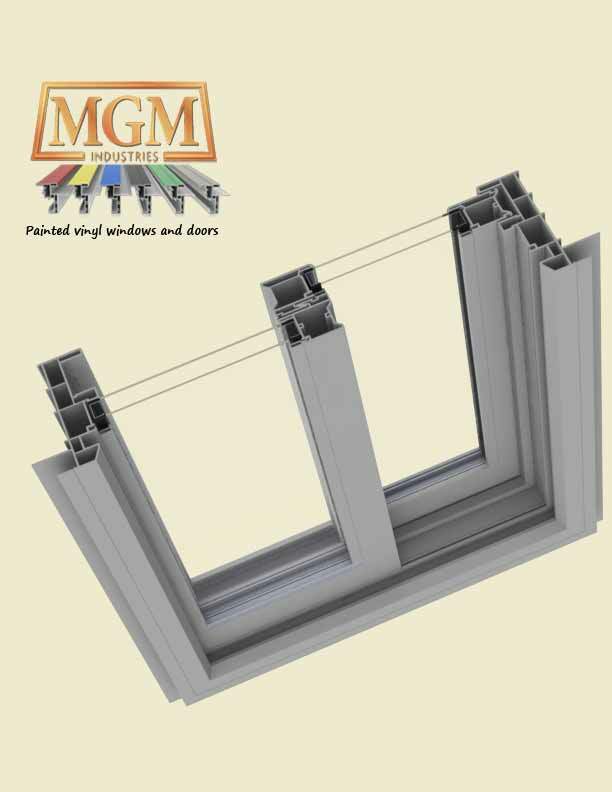 We are the only company that can offer windows twined from the factory. Everyone else requires the windows to be mulled in the field which costs time and money. 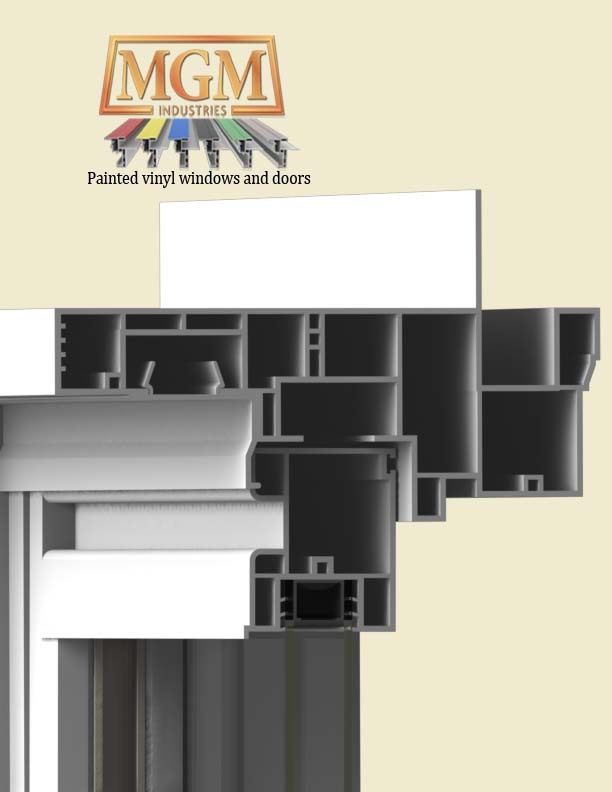 If you can find an impact vinyl window that looks aesthetically pleasing and performs better than our window, then, by all means--buy it! Based on the 4600 Series platform. 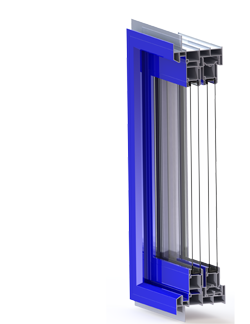 This window is suitable for Non-impact coastal applications that require a DP50 design pressure. This window is positioned to be competitive in all areas in which a DP50 product is mandated by code. 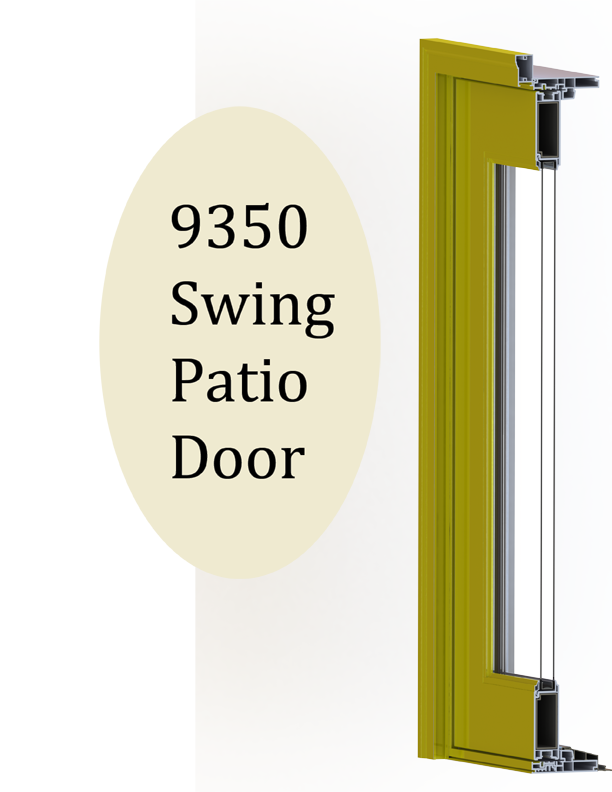 Suitable for multi-family projects as well as single family homes. This window has been tested to a design pressure of 50 (DP50). 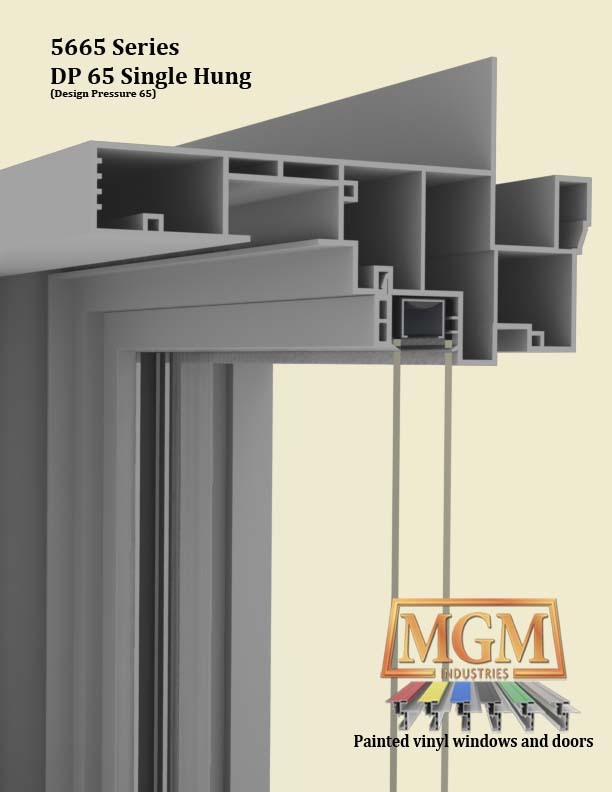 This means that the window can withstand a wind load of 180 MPH without the window breaking. A DP50 window also has to pass a water test with wind blowing onto the window at 54 MPH. The window will not leak with rain blowing against the window at 54 MPH. 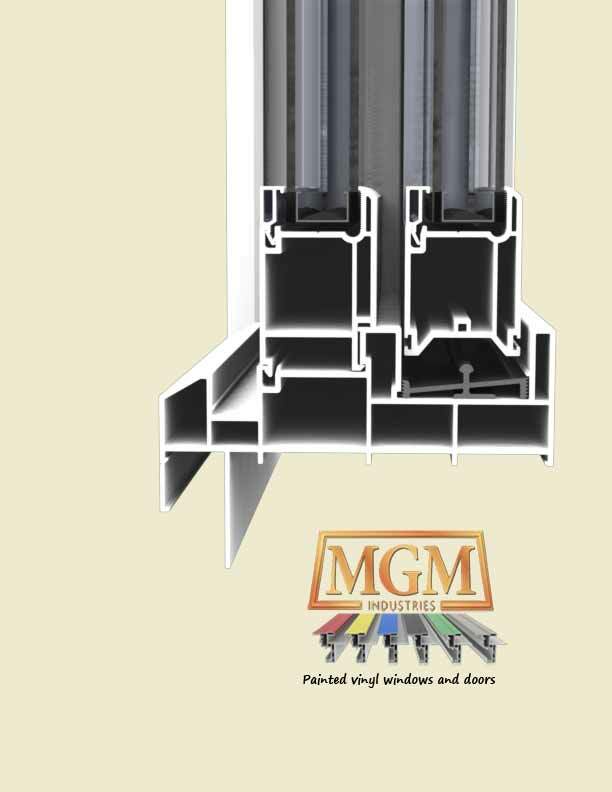 The window has a fully welded sash which is reinforced with galvanized steel. Based on the 8010 Series platform window. 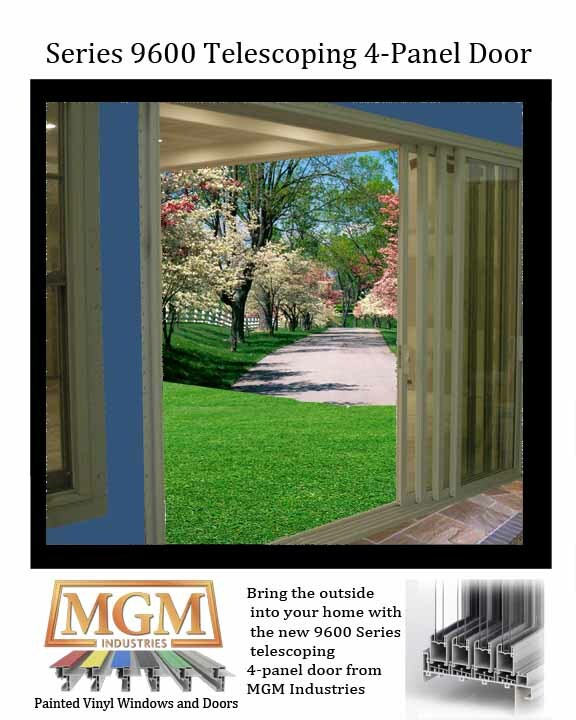 The window passes a C30 Commercial rating. 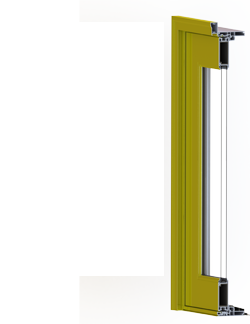 The window's sashes have been reinforced with aluminum and the window incorporates a surface mounted latch to handle higher design loads. 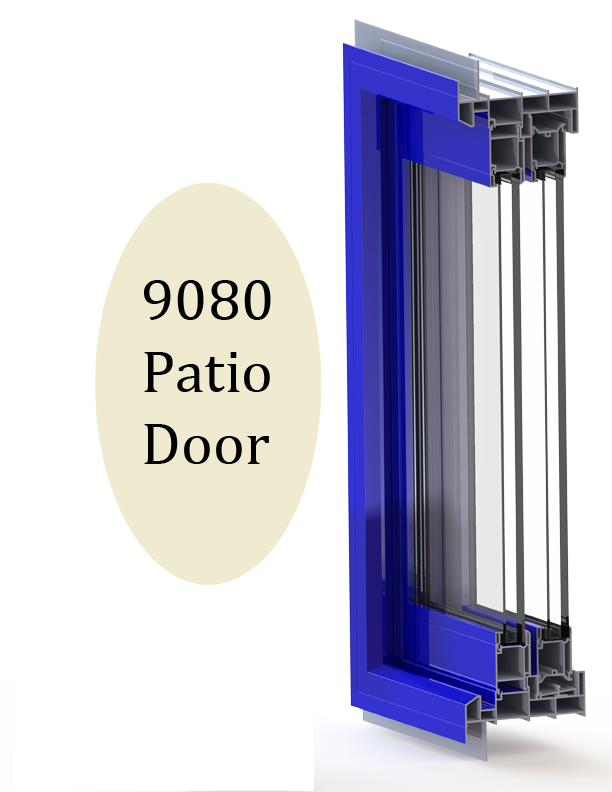 This window is suitable for Non-impact coastal applications that require a design pressure 50 load (DP50). 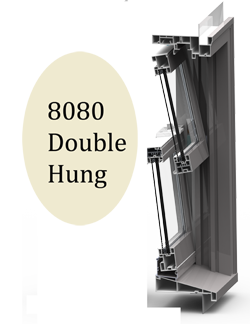 If your in the market for an high performance Double Hung window that looks like wood from the curb, has a true 180 brickmould, a 14 degree slope sill--like a traditional style wood window--then the 8065 window is the window for you. 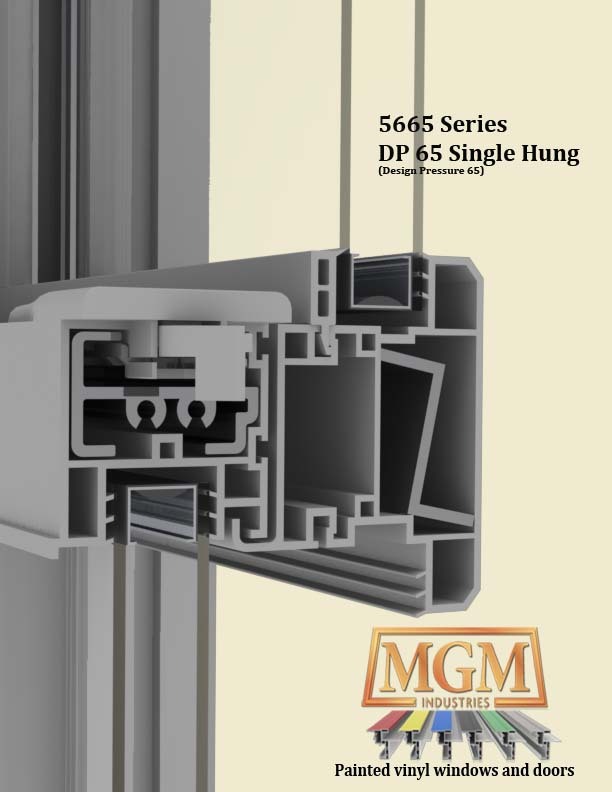 This window has been independently tested to a design pressure of 65 (DP65). This means that the window can withstand a wind load of 195 MPH without the window breaking. This is quite a feat. 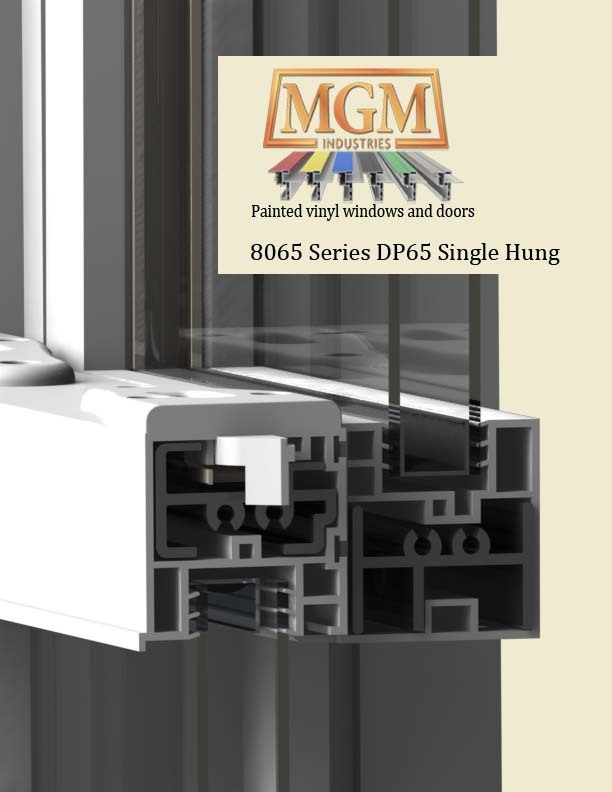 A DP65 window also has to pass a water test with wind blowing onto the window at 62 MPH. Our Series 8065 passes this stringent test, so in other words, the window will not leak with rain blowing against the window at 62 MPH. 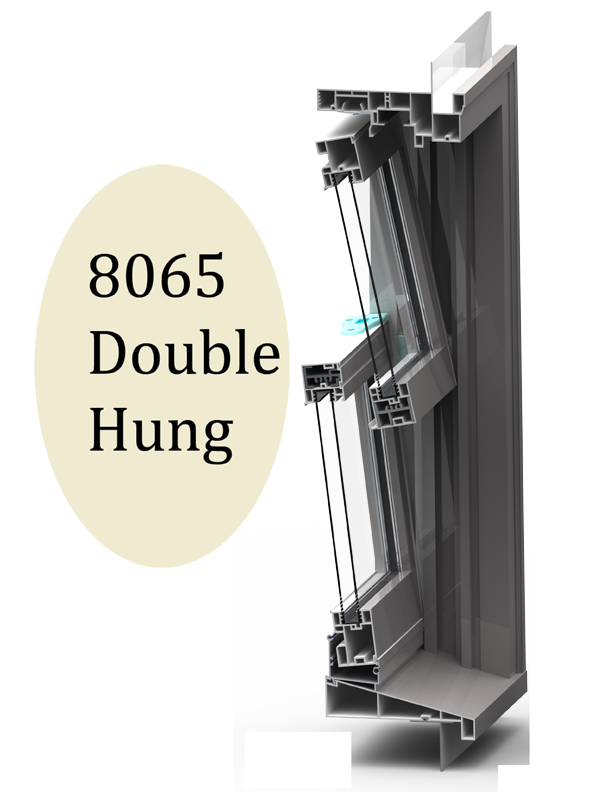 Our Series 8065 comes with a factory integral mull on multiple windows, which creates a continuous head and sill--which further eliminates leaks in the field. 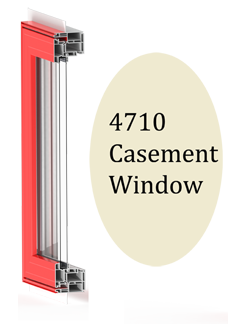 If you can find a 4 9/16 jamb vinyl window that looks aesthetically pleasing and performs better than our window, then, by all means--buy it! Based on the 8017 Series platform window. 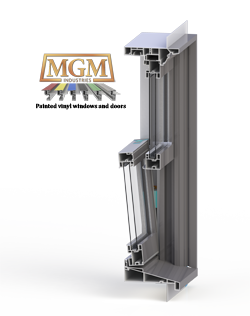 The window's sashes have been reinforced with aluminum and the window incorporates a surface mounted latch to handle higher design loads. 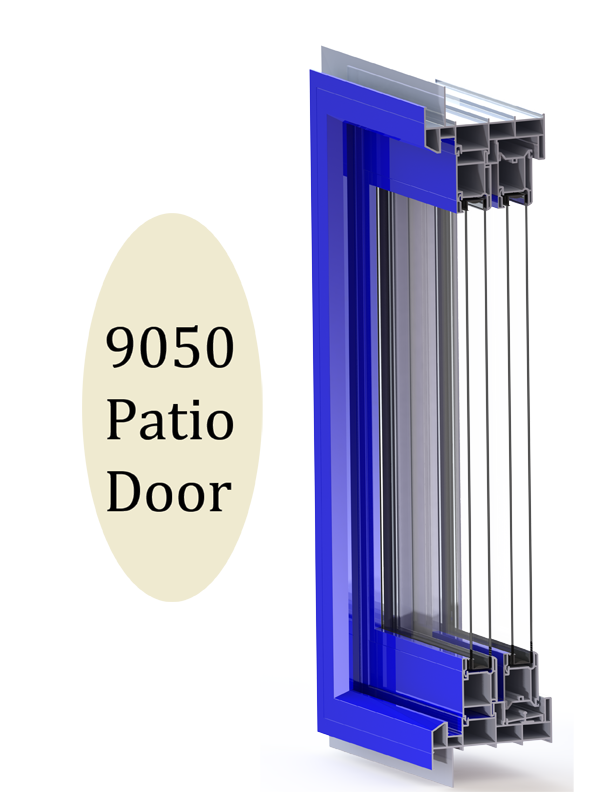 This window is suitable for Non-impact coastal applications that require a design pressure 50 load (DP50). 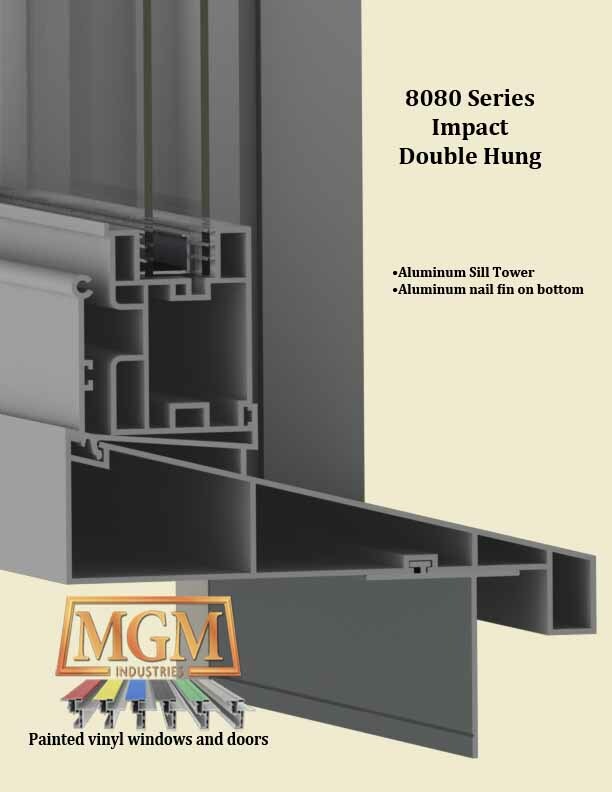 If your in the market for an high performance Double Hung window that looks like contemporary clad-wood,has a 14 degree slope sill--like a traditional style wood window--then the 8067 window is the window for you. 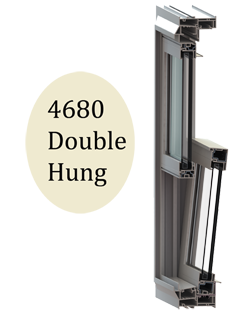 This window has been independently tested to a design pressure of 50 (DP50). 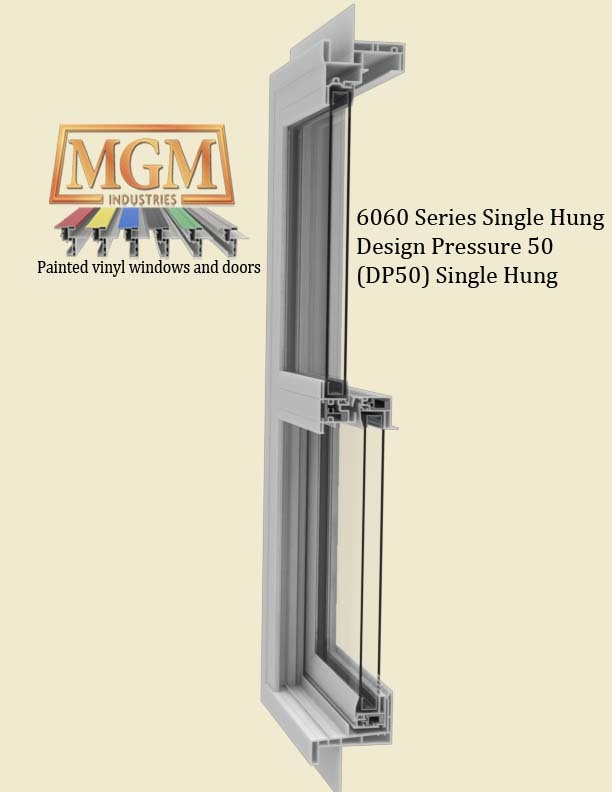 This means that the window can withstand a wind load of 195 MPH without the window breaking. . A DP50 window also has to pass a water test with wind blowing onto the window at 62 MPH. Our Series 8065 passes this stringent test, so in other words, the window will not leak with rain blowing against the window at 62 MPH. 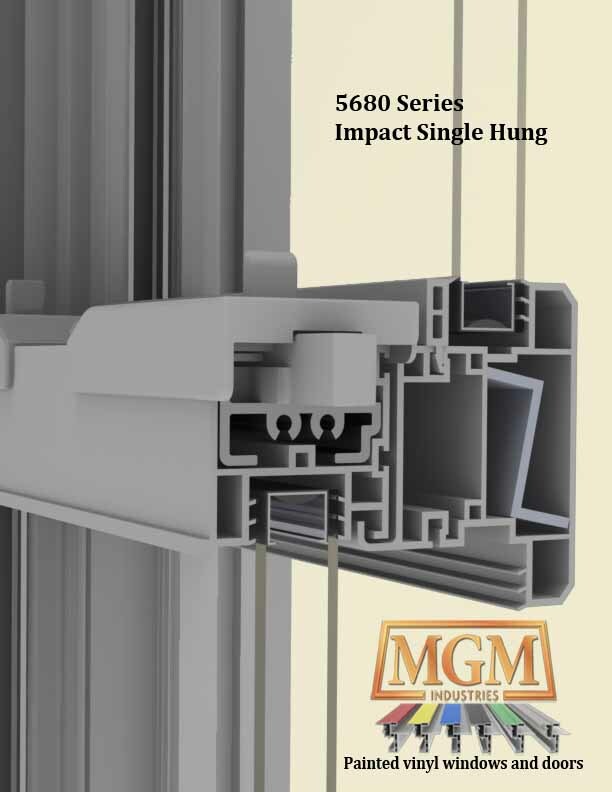 Our Series 5665 comes with a factory integral mull on multiple windows, which creates a continuous head and sill--which further eliminates leaks in the field. 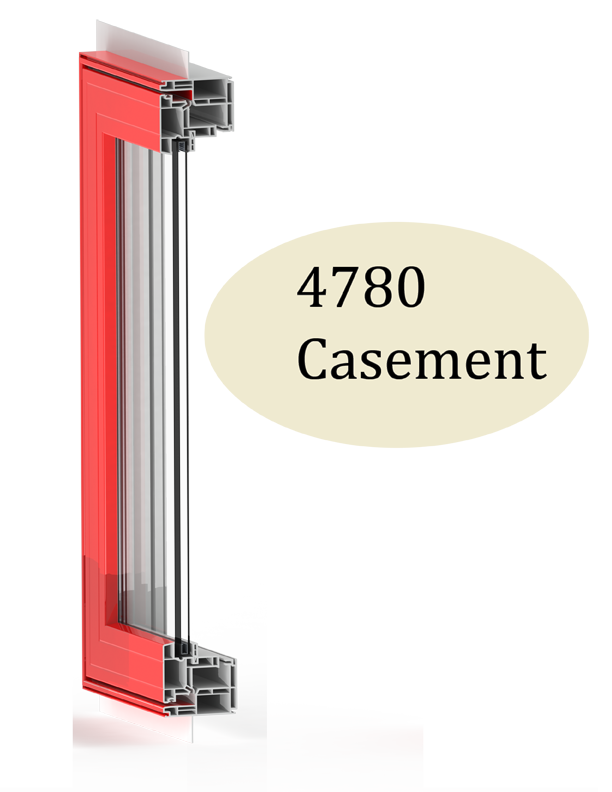 If you can find a 4 9/16 jamb vinyl window that looks aesthetically pleasing and performs better than our window, then, by all means-- buy it! 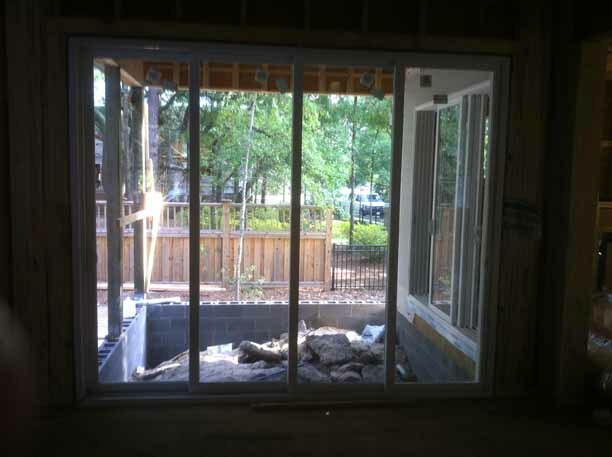 This window is suitable for Large-missle impact coastal applications. 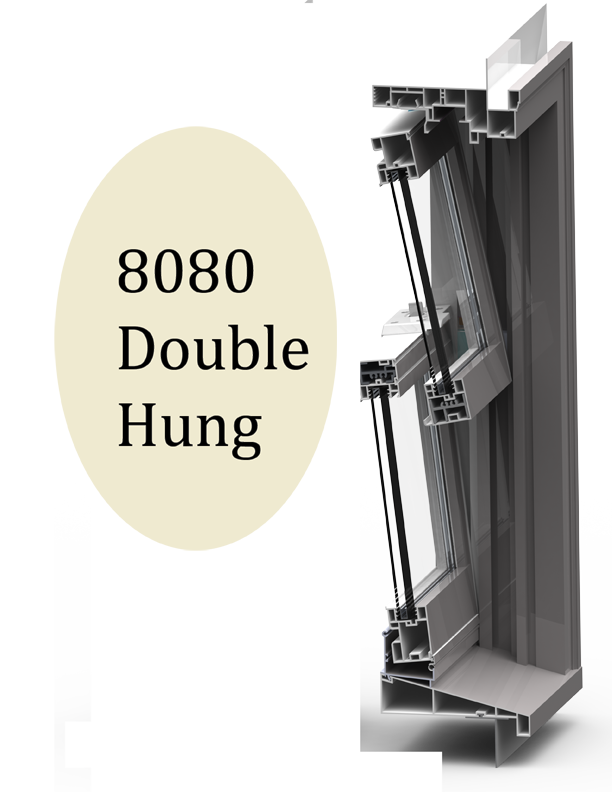 If your in the market for an high perfomance Double Hung window that looks like a traditional wood window from the curb, has a true 180 brickmould, a 14 degree slope sill--like a traditional style wood window--then the 8080 window is the window for you. 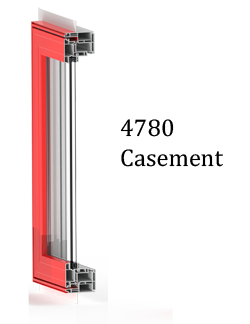 This window has been internally tested to a design pressure of 65 (DP65) and has been independently tested to a DP50 rating. 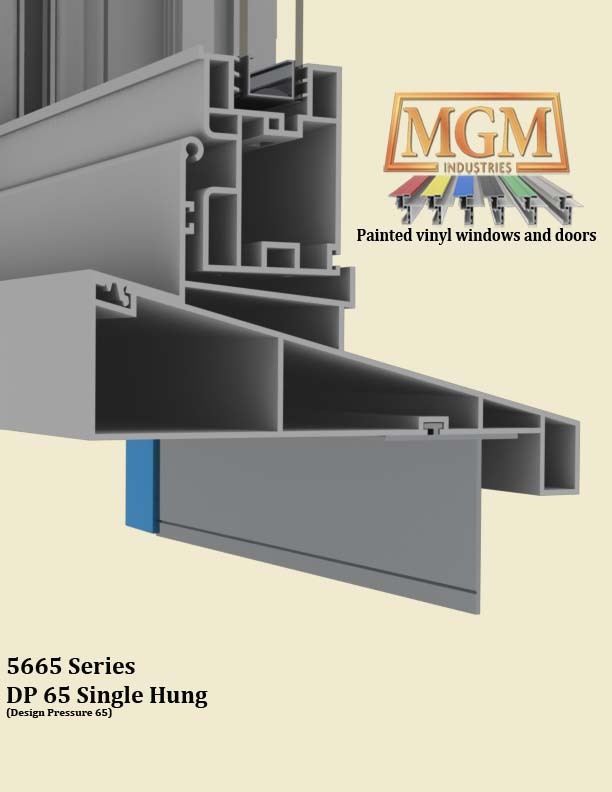 (We only requested a DP50 from the test lab--we subsequently tested the window to a DP65 rating on our test wall that we have installed in MGM's test Laboratory). This means that the window can withstand a wind load of 195 MPH without the window breaking. 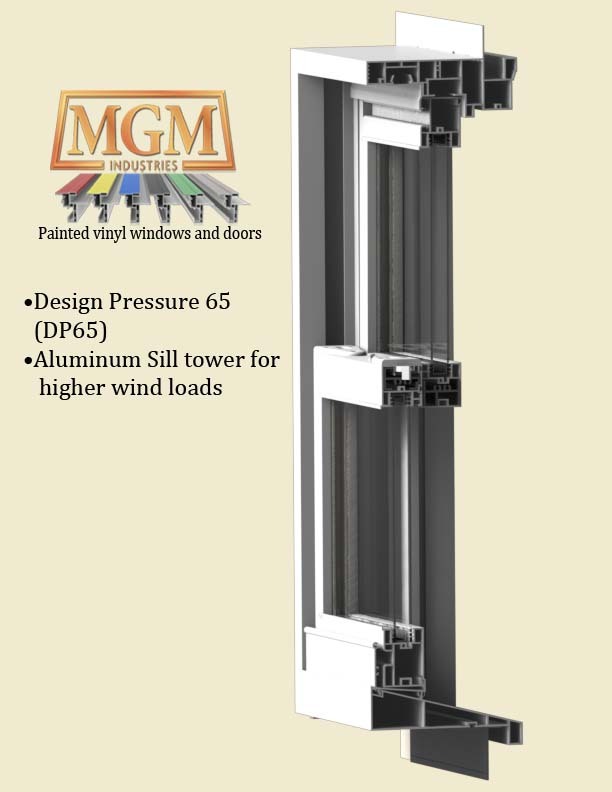 A DP65 window also has to pass a water test with wind blowing onto the window at 62 MPH. 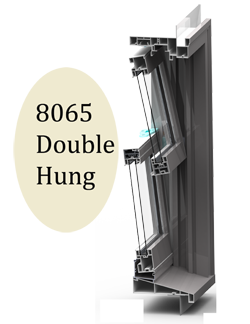 Our Series 8080 passes this stringent test, so in other words, the window will not leak with rain blowing against the window at 62 MPH. The sash has wide rails (like a wood window) and narrow stiles which makes the window look exactly like a wood window. 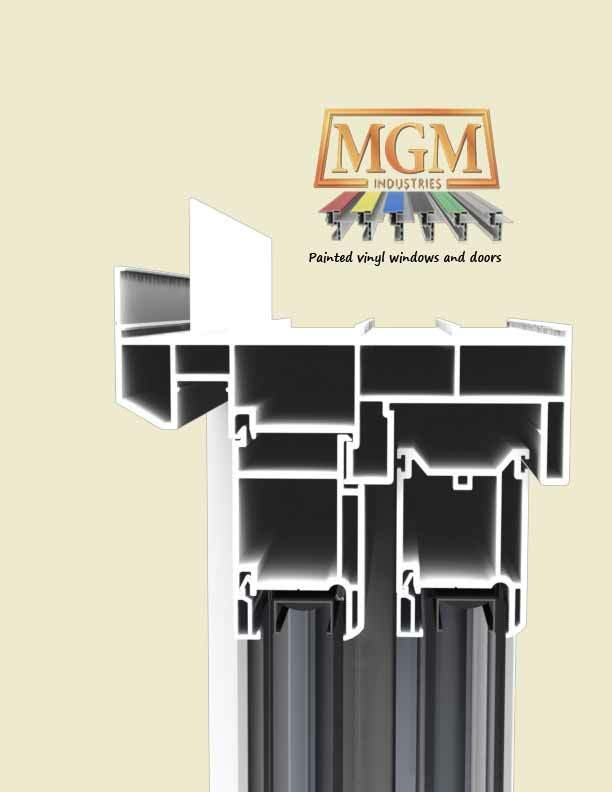 If you order the window with a bronze exterior, we challenge you to find a more pleasing window. 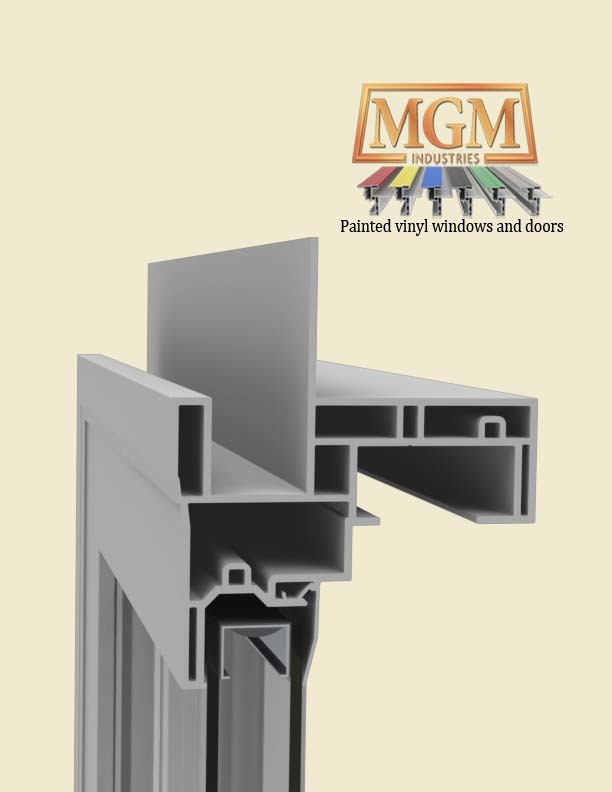 If you can find an impact vinyl window that looks aesthetically pleasing and performs better than our window, then, by all means--buy it! 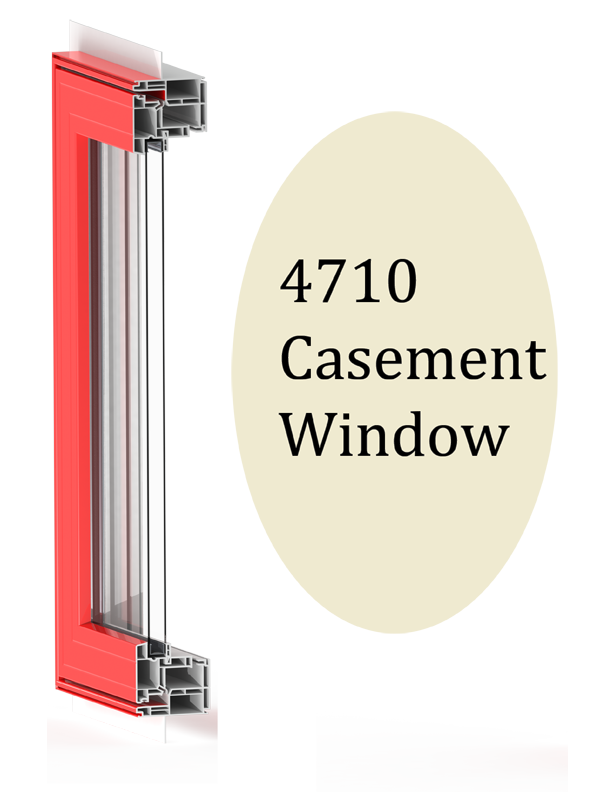 The 4710 Casement is listed in the SouthernRose section and the WindStrong section because it is built exactly the same for non-high performance applications. This is window is a very air-tight and structurally sound system. The sash is designed in a Canadian style where the climate is very cold. 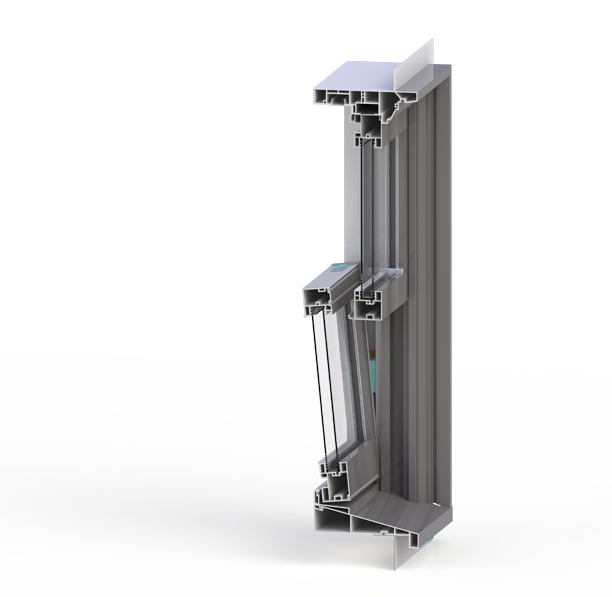 Window system has the new Truth Hardware fold-out handle. 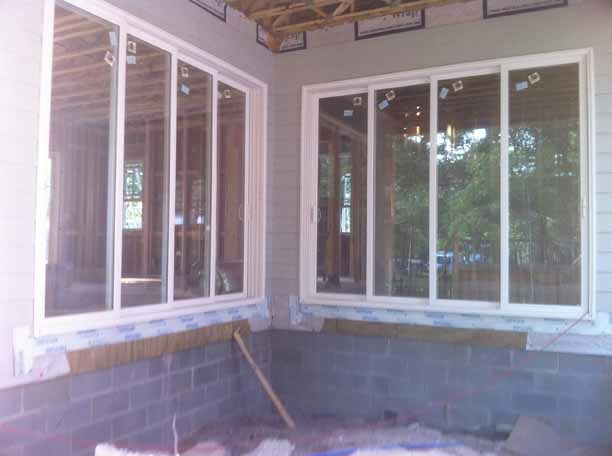 This is a premium casement with 3/4 OA glass. This window will pass zone three impact standards. The sash is designed in a Canadian style where the climate is very cold. 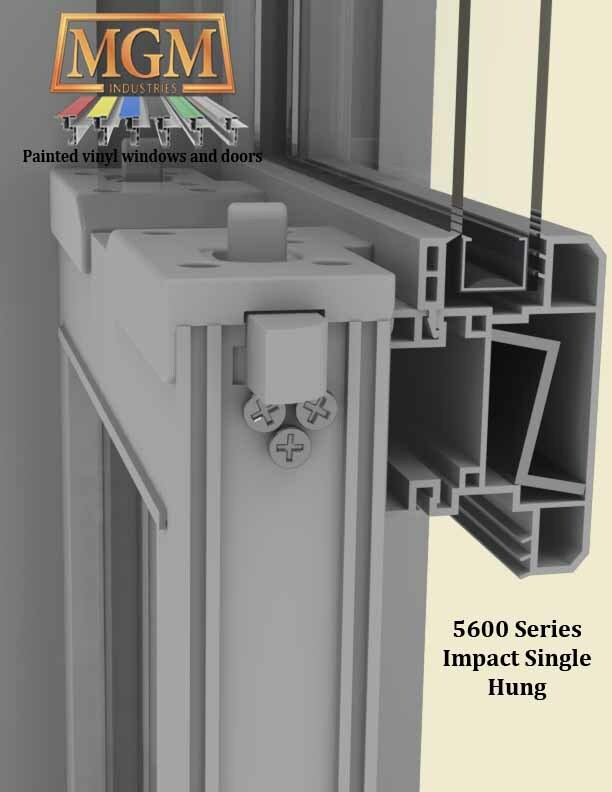 Window system has the new Truth Hardware fold-out handle. 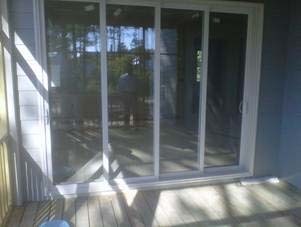 This is a premium casement with 3/4 OA glass. Impact rated for large missle.